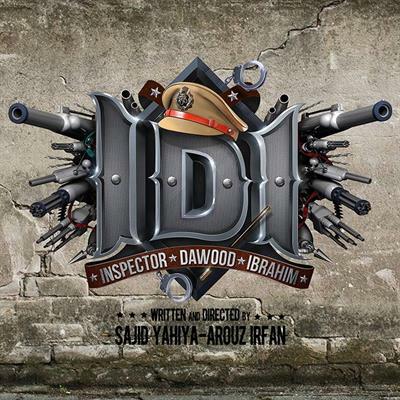 Young actor Sajid Yahiya, who got noticed through his roles in movies like 'Bangalore Day's and 'Friday', is gearing up to make his directorial debut with 'Inspector Dawood IDI'. Touted as a power and fun packed action dhamaka, the movie is written and directed by Sajid Yahiya and Arouz Khan. As known, a young star of the Malayalam industry will play the lead role and will be shaped up in a whole new avatar. D4 Dance fane Ajaz will play the childhood character of the lead actor. Rahul Raj will set the tunes for IDI. The title and first look poster has been officially launched which indicates that it is a complete police flick. The poster featuringes broken walls and rugged textures exhibit colours like deep red, grey and brown. A picture of an inspector's cap and handcuffs is seen at the centre of the poster. Various types of revolvers and guns add to the ultimate look and theme of 'IDI'. As Dawood Ibrahim is not a name that a police officer can easily carry off, while the movie will have some interesting twists and turns. More details about the movie are yet to come, while the shooting is expected to kick start in March 2015. Sajid is not a not a complete novice as he has directed a handful of television commercials and a short film. Arouz Irfan too has an experience working behind the screen as associate director. He started off his career as an assistant director with the movie Friday and also worked as an advertisement for directors like Lijo Jose Pellissery, Lijin Jose and KV Bejoy. Made in a bollywood style, Inspector Dawood Ibrahim will be creamed with suspense in every stage. Sajid Yahiya made his screen presence in movies like 'Collector', 'Theevram', 'Kaashh', 'Arikil Oraal', 'Amen', 'Zachariayude Garbhinikal' and 'Pakida'.